Taiko Drumming performance: Rhythmworks walking the walk! At Rhythmworks, we not only talk the talk, but we walk the walk! All Rhythmworks trainers and facilitators are accomplished performers of Taiko drumming. 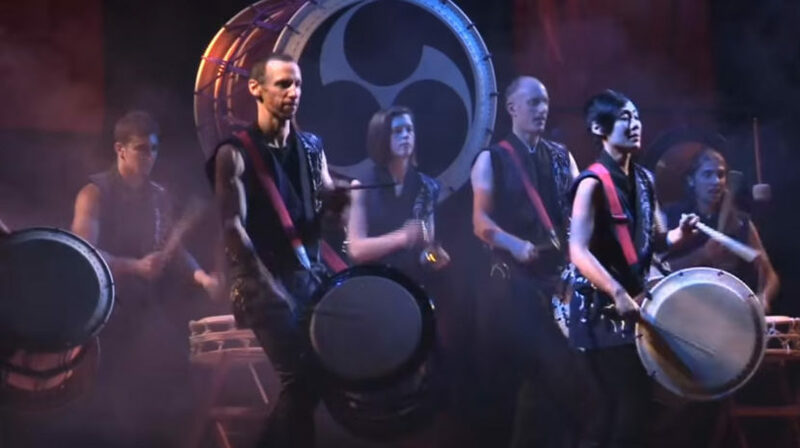 They can be seen here in this video featuring the incredible drumming of Taiko Meantime. The video demonstrates us, a united team, putting into action the principles of performance: commitment, awareness, trust, support and having lots of fun. We use exactly these principles to inspire your team to unite. Watch, listen, and see where Rhythmworks gets its inspiration for great team building programmes. (Oh, and turn your speakers up! ).